The material is generally used are of re-rolling process, but at the same time the other application as steel and some time because of shortages, it may get a better price. Different countries in the world have different sizes and chemical specification of the same. As far as our trading goals we are involved in the products in all given sizes and dimensions from various countries. We offer a wide range of Railroad Axles for Coaches, Wagons and locomotives. 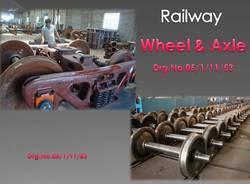 From the day of establishment, we are continuously offering Locomotive Axle and Wheel to our potential clients. These products are manufactured using the top quality raw component, which is obtained from certified suppliers of the market. Our experts use sophisticated technologies to bring better quality. 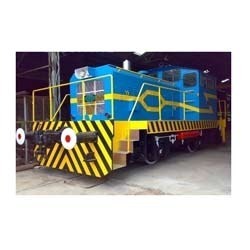 We are engaged in supplying all the old metal products that are of railways which include axles and wheels these are highly demanded in many production companies and other sectors of production units for conversion into new product.